Over/Under: Over 157.5 at 1.90 Bet Now! This is the third Final Four in a row for Real Madrid but given that they have lost in the two most recent finals, they may need a helping hand in getting over the line. If this is the case, they may want to have a word with the coach of Fenerbahce Zeljko Obradovic. He is the most successful coach in Euroleague history and he was also the coach of Real Madrid the last time they won the Euroleague. Pablo Laso was a player in that successful Real Madrid team and it is his job to defeat his former coach and end the horrendous run of non-triumphs in the Euroleague for Los Blancos. The two teams have clashed plenty of times over the years, Real lead 9-3 but this is the first time that they have met in three years. The two teams share virtually identical records over the course of the season, with the only difference coming in the fact that Madrid clinched their Playoff win with a 3-1 series win while Fenerbahce picked up a 3-0 series win. Real have a 22-6 record for the season which includes an 8-2 record in the regular season and an 11-3 record in the Top 16. The Turkish side picked up a 22-5 record overall so far which consists of an 8-2 record in the regular season and an 11-3 record in the Top 16. With respect to average points scored, Real Madrid have the advantage, standing with 86.3 while Fenerbahce have an 81.7 record. No match-ups during the 2014/15 season. There is no shortage of big name players for Real Madrid to rely on to win games. Felipe Reyes leads the way with rebounds with an average of 5.5 this campaign and Sergio Llull can boast of an average of 5.8 assists per game this season. However, for many people, the key Real Madrid player is Rudy Fernandez, with Fernandez offering up an average of 13.0 points per game. Fernandez has played for the Portland Trail Blazers and the Denver Nuggets in the NBA with the player being named in the NBA All-Rookie Second Team back in 2009. With a Gold at the 2006 FIBA Word Cup and two Gold medals at the FIBA EuroBasket events in 2009 and 2011, not to mention two Silver medals at the Olympics, Fernandez has achieved a lot in his career, but he is yet to taste success in the Euroleague. This could be the season where all that changes. Nemanja Bjelica has been a key player for Fenerbahce this campaign, providing an average of 8.6 rebounds this season but it has been the form of Andrew Goudelock that has mainly caught the eye this campaign for the Turkish giants. Goudelock has an average of 16.4 points per game this season and his arrival at Fenerbahce this season has bene a big factor for their success. He arrived on the back of winning the Eurocup with UNICS Kazan and can also call on fleeting perfomances in the NBA, including a Playoff performance for the Lakers where achieved 20 points in a game against the San Antonio Spurs. Goudelock never really got a chance to perform too often for the Lakers but he learned a lot in his time with the first team and various development teams. Fenerbahce are reaping the rewards of this development period and he has been one of the strongest players in the Euroleague this season, and if the Turkish side are to cause an upset at the Final Four, he will be a key component of it. Real Madrid are on top of the Spanish league with a 26-5 record and on the 3rd of May, they defeated Rio Natura Monbus Obradoiro CAB. 76-85. As for Fenerbahce, they are top of the Turkish league with a 22-7 record, just holding off Anadolu Efes who have a 21-8 record. The most recent domestic game for Fenerbahce fell on the 3rd of May with an away win over Darussafaka, the final score ending up 51-73. Real Madrid are a formidable team at the best of times but with home advantage, it is easy to see why plenty of people are backing them to triumph in the Final Four. When it comes to the semi-final match, Bwin strongly believe that the home team will win and you can find them on the Money Line with odds of 1.35 while their opponents are listed at 3.10. 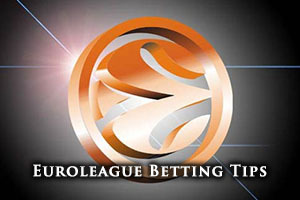 If you are looking for the handicap odds for the match, you will find that Bwin list Real Madrid at -6.5 with odds of 1.87 while Fenerbahce Ulker Istanbul are listed at +6.5 and odds of 1.87. For the Over/Under market, you can find OVER 157.5 at odds of 1.87. Bet Now!